I have no idea what this joke means, but Jackson cracked himself up with it! Not sure which part is my favorite: the fact that he butchered the opening (it’s supposed to be a chicken, not a pelican; and he crosses “the street”, not “the road!) or the fact that he butchered Bieber’s name! I want to remember how Abby Kate is such a little Momma to Sadie. She loves to hold her — almost too much! But you can tell that she’s going to be a great Mommy someday. And really, I’m not surprised…she comes by it naturally! I want to remember Joshua’s pure joy at playing baseball. He’s a pretty good little athlete, but baseball is really his thing. We had our tryouts for the upcoming season last Saturday. Watching Joshua in the batting cage, I was so proud of where he is and what he’s able to do. We’ve come a long way from the day he entered the world at 2 lbs. 5 ozs. I want to remember what a voracious reader we have in Abby Kate. See Sunny’s post here. 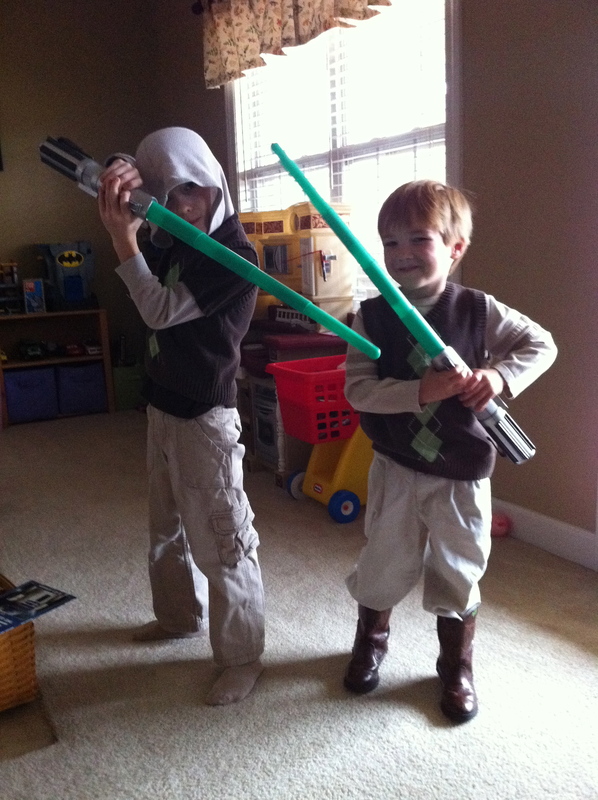 I want to remember how much my kids love Star Wars! This entry was posted in Family, Humor, Kids. Bookmark the permalink.